Here at Vapura, we are firm believers in quality over quantity. It is not in our members or our own interests to stock cheap or unreliable e-cigarettes or e-liquids. When considering bringing in new stock into our range, we stringently test everything before offering it to potential customers. We’re here to make your lives easier, not harder. Considering the volumes of members we deal with, we have to be so careful when selecting the right equipment to include with each of our packages. That’s why when you sign up to our Bronze or Silver membership you’ll receive the Joyetech Exceed D19 kit. It’s a truly pocket size device that really packs a punch and is reliable. It comes pre-installed with a 1.2 Ohm coil for a great mouth to lung experience, that always puts out a great flavour profile. Included as well is a 0.5 Ohm coil which gives an unbeatable direct to lung feel for a device this small. The Joyetech D19 is what vaping should be about, feature rich but simplified. No messing around with wattage or temperature control. Just a single button operation with a 1600mAh battery that comfortably lasts a day. A nice added bonus is that it has a quick screw top fill and an adjustable airflow at the bottom. The EX series coils that go in the D19 are a masterpiece. From testing and customer feedback, we have found the average lifespan of the coils is over 4 weeks, way above what you would expect for atomizers in this range. Discreet, great battery, fantastic flavour, reliable and easy. 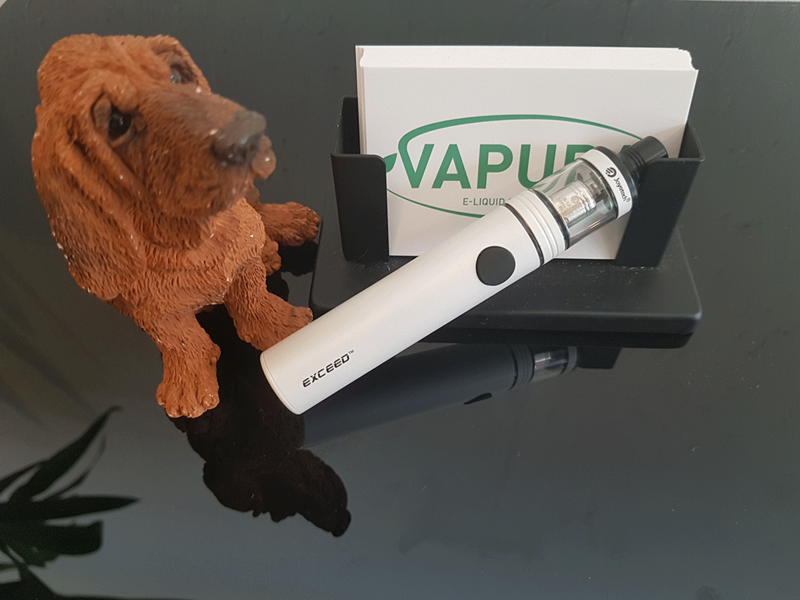 At the beginner range, we truly believe this is the best e-cigarette being stocked anywhere in Ireland right now, so to experience everything Exceed D19 click to sign up to the Silver (hyperlink) or Bronze (hyperlink) package now.